Gorgeous Coast Inspired Mills Farm Home Features 4CAR garage, 6 bdrms, 6.5 baths, hardwood floors thru-out main level. Front & back staircases, huge hearth/kitchen w/9' counter, dbl ovens, dry bar w/wine refrig & huge pantry & full stone fireplace. Stunning great rm w/decorated paneled wall & blt-ins w/cabinets on either side of fireplace. Lrg mstr suite w/sitting rm w/fireplace, designer closet & bath connects to laundry rm. Spacious secondary bdrms w/ensuite baths & walk-in closets, bonus rm w/full bath & closet. From 159th St & Quivira Rd: take Quivira Rd to 165th St, turn left - take 165th St. to 164th Pl, turn left - take 164th Pl. to Garnett St - turn right - house will be last house on your left. Overland Park is located in Kansas. Overland Park, Kansas 66221 has a population of 186,515. The median household income in Overland Park, Kansas 66221 is $72,231. The median household income for the surrounding county is $75,017 compared to the national median of $53,482. The median age of people living in Overland Park 66221 is 37.7 years. 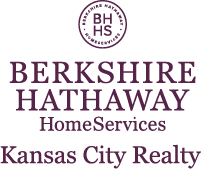 I am interested in 16453 Garnett Street, Overland Park, KS 66221.